Our National Flag consists of two equal horizontal sections, red above white. In the upper left canton is a white crescent moon beside five white stars within a circle. 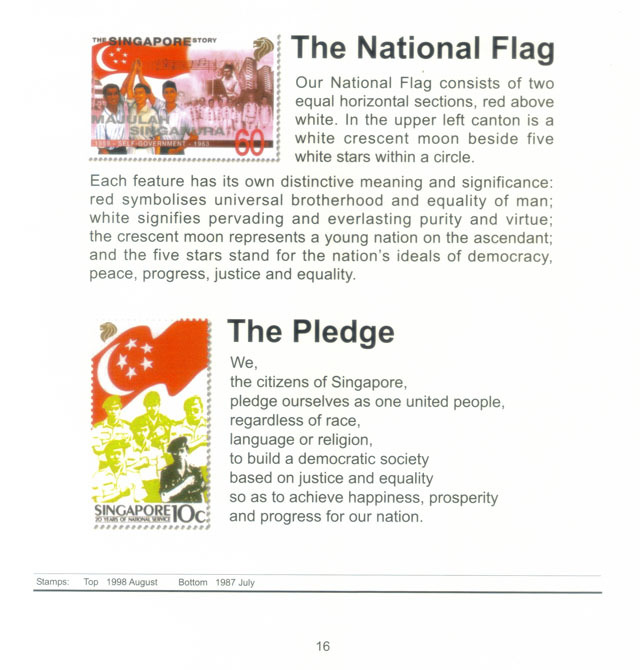 Each feature has its own distinctive meaning and significance: red symbolises universal brotherhood and equality of man; white signifies pervading and everlasting purity and virtue; the crescent moon represents a young nation on the ascendant; and the five stars stand for the nation’s ideals of democracy, peace, progress, justice and equality. 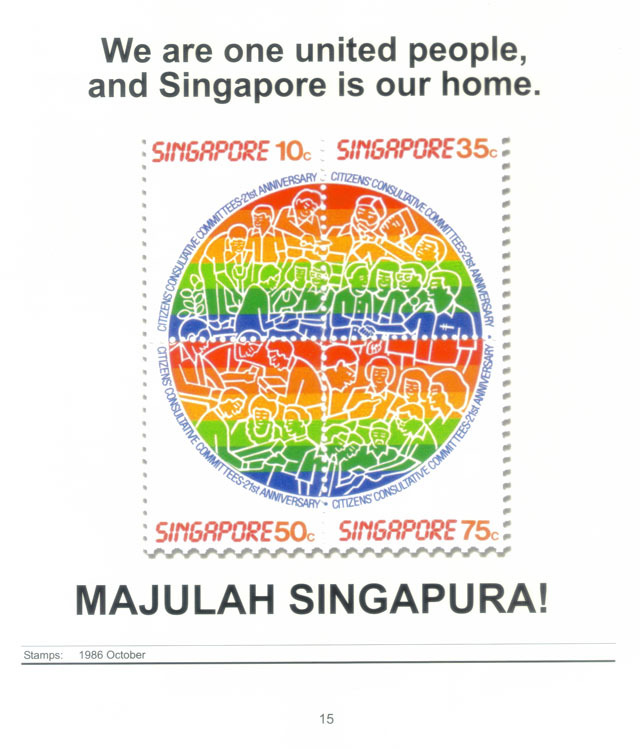 We are one united people, and Singapore is our home. 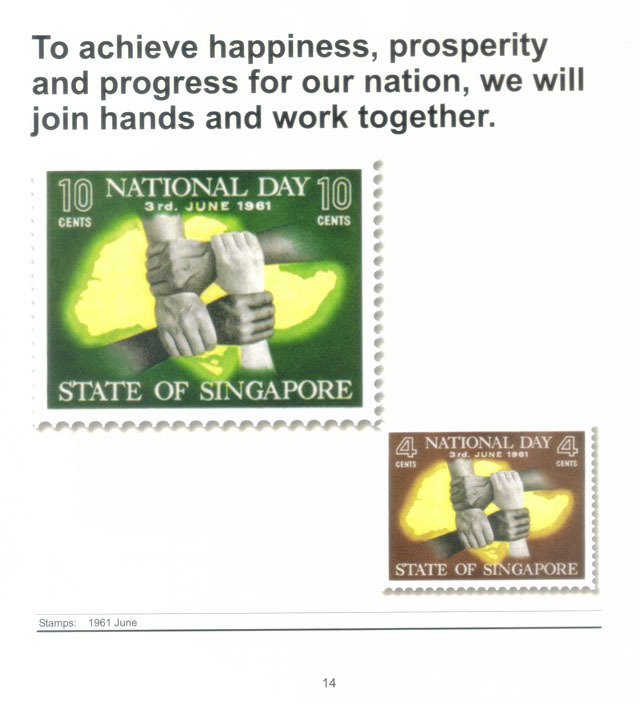 To achieve happiness, prosperity and progress for our nation, we will join hands and work together. 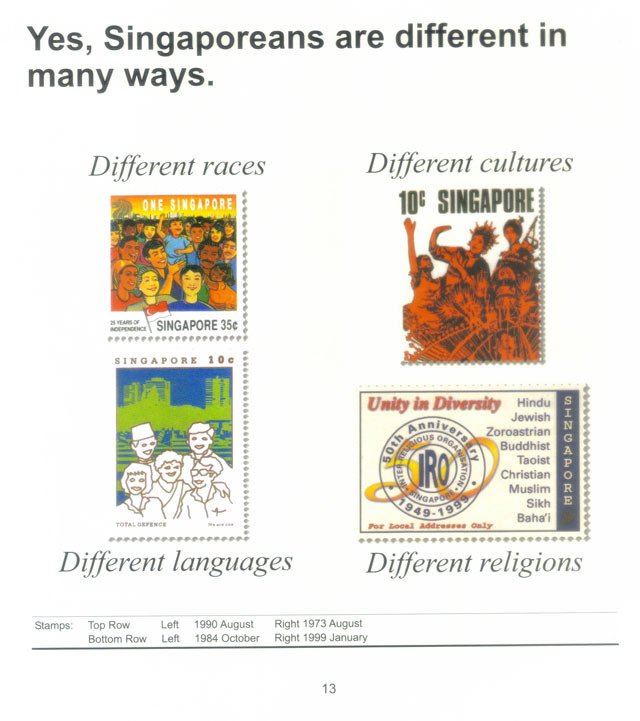 Yes, Singaporeans are different in many ways. Different races, different cultures, different languages and different religions. Many annual festivals are celebrated in Singapore. 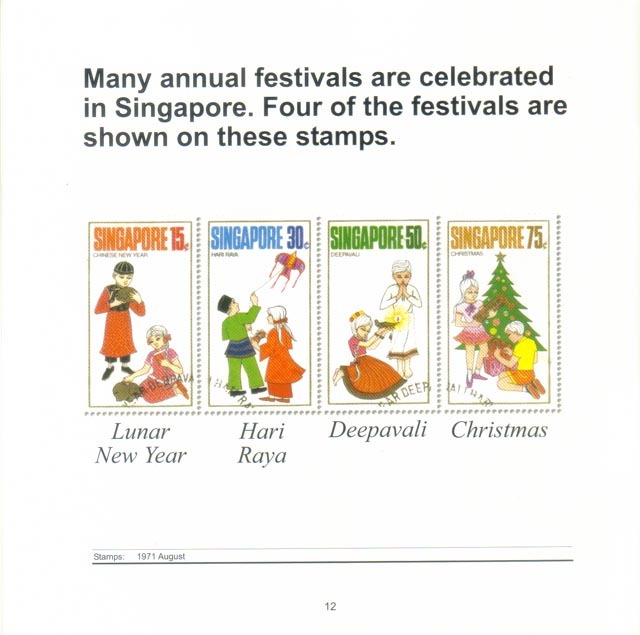 Four of the festivals are shown on these stamps. 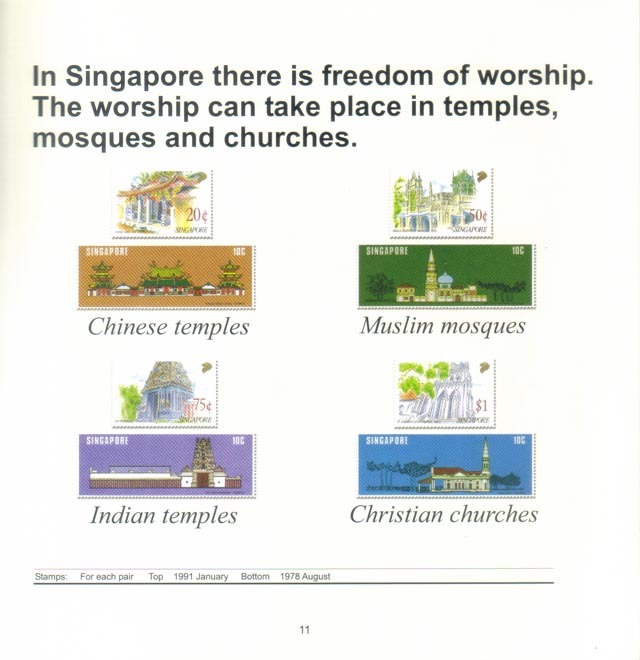 In Singapore there is freedom of worship. The worship can take place in temples, mosques and churches. 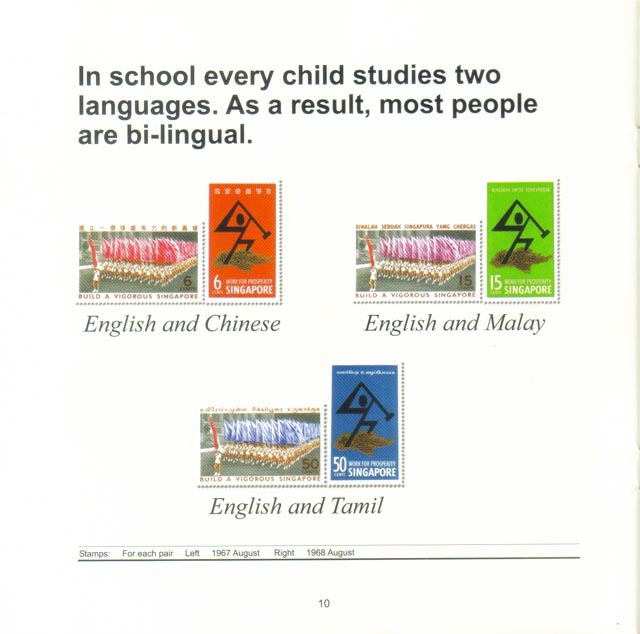 In school every child studies two languages. As a result, most people are bi-lingual.